& Design in New York. Growing a brand at start-up pace: two years as lead marketing designer at Handy.com, a home service startup in New York’s Flatiron District. A nation moving forward: design and production of a luxury brochure to promote foreign business in the United Arab Emirates. Brand identity, website design, envelope and media pack for PostBunny, a direct mail platform delivering nationwide from America’s hottest startups. 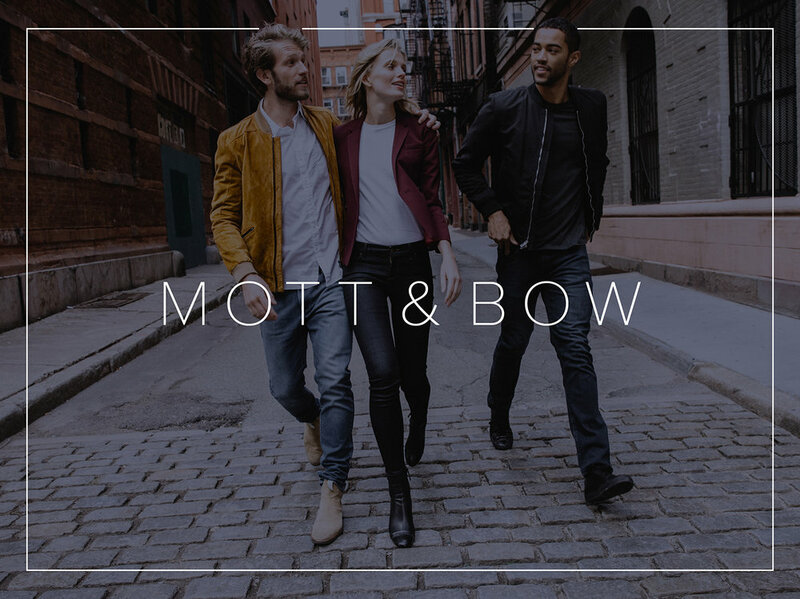 Blue glorious blue: promotional landing page design for denim startup Mott & Bow – increasing conversion of users seeking dark blue jeans. A selection of logo designs and brand identities for various clients. Direct mail, marketing collateral and Facebook advertising for Better.com. Design and art direction of Spear's, a bi-monthly wealth management and luxury lifestyle magazine. Hi, I'm Andrew Vickers – a graphic designer and art director based in White Plains, NY. I believe in building unmistakable brands for the ambitious. Startup or upstart, international or independent, bootstrapped or venture-backed, I can help you express your big idea. I design everything from logos to websites to multichannel marketing. And all with a persnickety passion for craft.